One of the primary concerns for Medicare recipients is how to find affordable health insurance. Seniors become eligible for Medicare benefits upon reaching age 65. Regular Medicare, (Parts A and B) are the parts of Medicare that pay for hospitalization and outpatient care. These plans cover 80 percent of covered expenses while you have to pay the remaining 20 percent. For some seniors, this 20 percent can add up to a large dollar amount and may be more than they can afford. Part of the solution for seniors may be finding an affordable Medicare supplement to help with the medical expenses not covered by a regular Medicare plan. If you are 65 and eligible for regular Medicare coverage, you are also eligible to purchase a Medicare supplemental insurance policy (also known as Medigap). 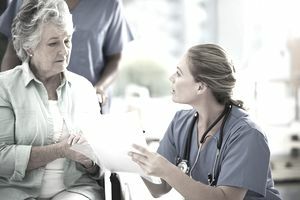 There are a variety of options available for a Medicare supplemental insurance policy to fit your individual medical needs and financial situation. Blue Cross Blue Shield has a comprehensive line of Medigap health insurance plans (Plans A through N) available. Blue Cross Blue Shield is one of the biggest names in health insurance not only in the United States but in more than 170 countries worldwide. The U.S. federation includes 38 separate health insurance organizations. The company’s beginnings go back to 1929 when Blue Cross Blue Shield was founded by Justin Ford Kimball as a health insurance company for teachers. The U.S. operations are headquartered in Chicago, Illinois and offer individual and family healthcare insurance, employer group health insurance and Medicare supplement plans to residents of all 50 states, the District of Columbia and Puerto Rico. Since Blue Cross Blue Shield has many organizations comprising it, there is no one single financial strength rating. However, A.M. Best insurance rating organization has given the majority of these separate entities an “A+” Excellent financial strength rating. Blue Cross Blue Shield is a plan that is widely accepted by healthcare professionals including hospitals, doctor’s office, and pharmacies. It offers flexible Medicare supplemental insurance plans so you can find the right plan to fit your health care needs and your budget. Here are some particular features of each type of plan. Plan specifics will vary by state, so you should contact the local Blue Cross organization for your state for the specifics of each plan type. Plans A and B offer an affordable basic option where you pay all deductibles including skilled nursing coinsurance and foreign travel emergency care. Basic benefits are covered 100 percent for Plans A and B and Plan B also covers 100 percent of the Part A deductible. Visit the Blue Cross Blue Shield Association website or call 888-630-BLUE (2583) to find a local Blue Cross Blue Shield Company where you can get a quote or learn more about Blue Cross’ Medicare supplemental insurance policy and other health insurance products.